The dream of a gleaming future when movie showtimes are available at the touch of several buttons—after first listening to an audio-only trailer, then to our new menu options, as they have changed—is over. 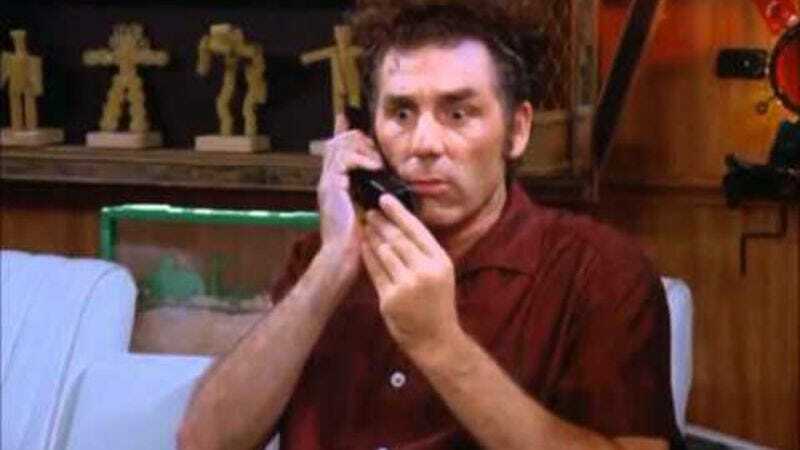 The New York Times reports that Moviefone quietly shut down its 777-FILM service over the weekend, with grandparents calling to check when 3 Days To Kill might be playing being greeted not by the booming, iconic, “Hello, and welcome to Moviefone!” of Mr. Moviefone, but rather a farewell message from “a voice decidedly scrawnier in timbre,” suggesting that Mr. Moviefone is slowly dying and you never even bothered to visit. After nearly 25 years that saw a boom of around 3 million calls per week in the 1990s, dipping to a vague number of “thousands” in more recent times, Moviefone will disconnect its phone line in about a month, leaving callers mashing out the names of the movies they want to see to an uncaring digital void. Still, grieve not for Moviefone: It plans to concentrate on its app, and the brand is being readied for relaunch by AOL, which should help bring it boldly into 1999. The news officially marks the moment separating generations who understand this Seinfeld joke.